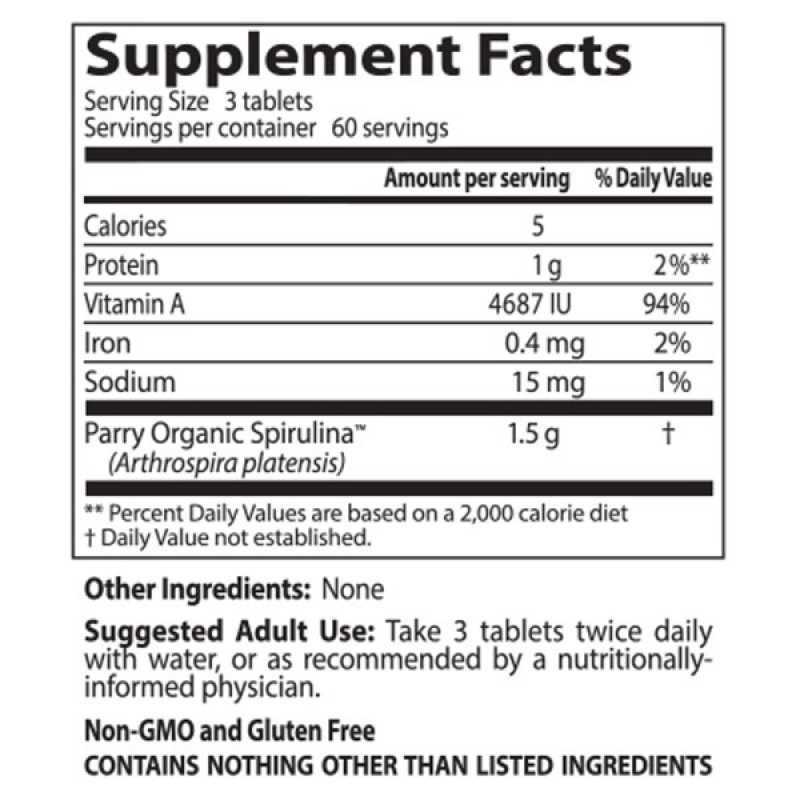 Best Spirulina features Parry Organic Spirulina, blue green algae that provides a safe source of both phycocyanins and phytonutrients. World-wide Spirulina research includes a number of clinical trials that reveal valuable findings in sports nutrition, oxidative stress relief, immune function, and support for the cardiovascular system. 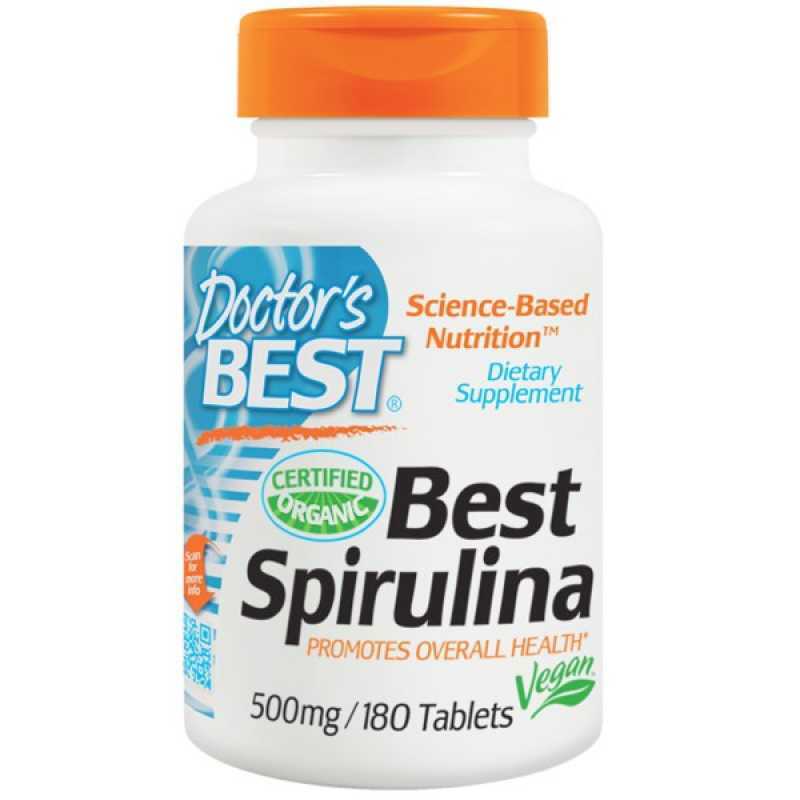 Best spirulina offers an ideal source of easily digested phytonutrients due to its lack of a cellulose cell wall, making it one of nature's most powerful green foods. Recommended use: Take 3 tablets twice daily with water.